Looking to make a name for yourself on social media? We’ve got you covered. Whether you are interested in being the next hot Instagram influencer, or just looking to have a trendy profile that your friends will love, we have some tips and tricks for you. What’s your stye? Are you into the grungy, garage band vibe, or do you radiate boho enchantment? Maybe you are into minimalism, so you go with the classic black and white look. Whatever theme you choose will be a reflection of you are and what your personality and interests look like. The theme will most likely be what viewers notice first, so it pays to make a statement here. People will be more likely to follow you if they see that you have a consistent style. Most likely they were drawn to your page because they saw an image of yours that captivated their attention and they want more. If they go to your page and see content that is all over the place they will be less likely to follow you because they aren’t sure what to expect. If you are interested in trying to make your photographs work more cohesively as a single body of work, try using photo filters. Photo filters adjust the tonal range of your image and can be used to change the mood of a photo. Once you have picked a palette and filter that works for you, stick to it. It is important to remain consistent. You can also use the same border for all of your photos to help with consistency. Now, this doesn’t mean that you need to go out and spend a small fortune on a DSLR camera, although you can if you would like to. 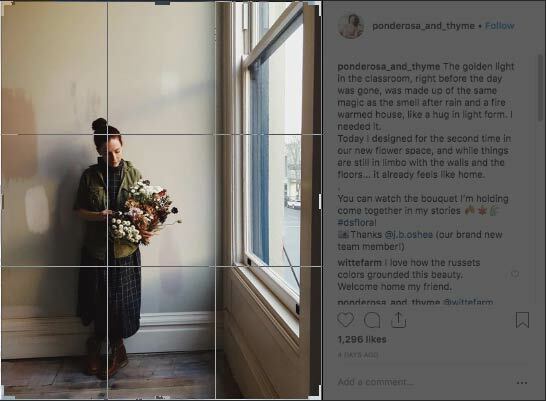 Instagram photos can only be displayed at the maximum size of 1080px, so if you do use a high-quality camera just know that you won’t get that awesome resolution when you upload your photo to Instagram. This size limit is kind of great though when you think about it. This gives equal access to putting out quality content to pretty much anyone with a smartphone. When focusing on taking high-quality photos with your phone, you should focus more on composition and natural light. Composition is the way that focal points are presented in an image. You want to avoid compositions that are boring. For instance, subjects that are located in the dead center of an image are not interesting. We see this all the time, especially in advertisements. How could moving this focal point to a different spot of the photo create more tension? This is the question you should as yourself as you are taking photos. You should always take photos of differing composition (for example, try low-angle shot) and experiment with what looks the best. You can also use cropping to your advantage. A good rule for beginners is the rule of thirds. This rule requires you to imagine your image as if it were divided into nine squares. The goal is to have your focal point not fall within these squares, but at where they would intersect. These intersections are referred to as “crash points”. One of the worst mistakes that you could make as a photographer would be an over reliance of artificial light. Artificial light is great for helping us see, but not so great for photographs. Most forms of artificial light will drastically change color in your images. For example, skin tone becomes extremely distorted when photographed under artificial light. Unless you have access to studio quality lights, then your best bet is to utilize natural sunlight. The best time to photograph is during the full light of day. And, if you are able to, try to take your photos outside when it is overcast, especially if you are photographing people. Clouds disperse and soften the light from the sun which prevents harsh shadows. Of course, the goal is to do as much as you can at the time the picture is taken, but most likely you will need to make at least some small edits. Use photo editors to crop, make adjustments to color, correct blemishes, and adjust exposure. Instagram does offer a built-in editor, however it is quite mediocre compared to most photo editors. For more control over image adjustment, stick to a photo editor that gives you a full range of options and manipulations. 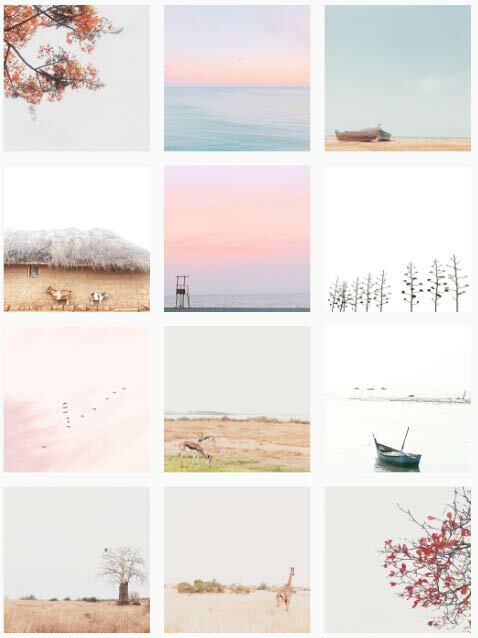 Your Instagram grid works like a single body of work. 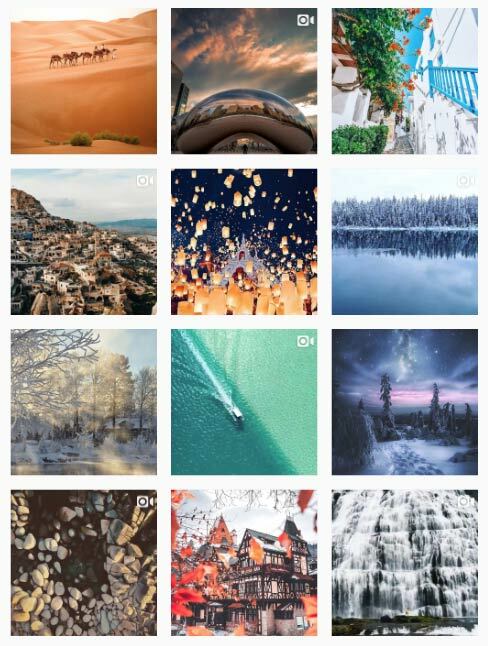 All of your images are grouped together and together they present a message to viewers. Think about what you would like this image to be. 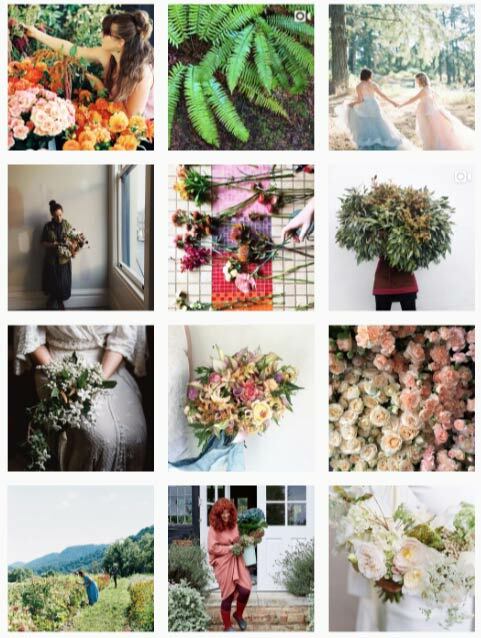 You can create patterns in your Instagram grid or you can use the grid to convey a common theme. Whatever you choose to do, don’t forget about small things like this that could make a big impact when you are trying to gain followers. In order to create a perfect Instagram profile, all you need to do is think about what your desired overall feel is going to be. Commit to a style that you enjoy and work to create and share high quality images that work to enforce that theme. Think about what you want your message to your followers to be. Are you an influencer, health nut, political statement maker, or just a lifestyle blog? What would you expect from each one of these themes? Think about what you want to say and be consistent with it and you are sure to rock your Instagram account and wow your followers. For latest Lifestyle News, Tips & Tricks !